On the motion of the Finance Committee, the second reading of the State Budget of 2013 Bill (278 SE), initiated by the Government, was concluded. A total of 100 motions to amend the Bill had been submitted for the second reading all of which were voted on in the plenary assembly. The Finance Committee had made one amendment to the Bill, mainly concerning technical specifications in the areas of government of ministries. The budget revenue is planned to amount to ca 7.5 billion euro, and the expenditure ‒ to ca 7.7 billion euro. The Estonian Centre Party Faction moved to suspend the second reading of the Bill. 24 members of the Riigikogu voted in favour of the motion to suspend and 51 voted against. 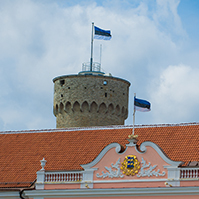 As the motion to suspend was not supported by the Riigikogu, the Bill was sent to the third reading. The Riigikogu approved with 50 votes in favour the Consolidated Report of 2011 of the State (265 SE), initiated by the Government. The consolidated report consists of the management report, the consolidated and the unconsolidated annual accounts of the state, additional information concerning local governments and additional information concerning public sector and government sector. The consolidated report includes the audit report of the National Audit Office. The Riigikogu passed with 66 votes in favour the Statement on the Estonian Agriculture and the Reform of the European Union Common Agricultural Policy (306 AE), initiated by 63 Members of the Riigikogu. The Statement emphasises that the key issue of the future of the Common Agricultural Policy (CAP) of the European Union is the creation of equal competition conditions on the internal market of the EU through the reforming and equalisation of direct payments. For this aim, the Riigikogu calls on the Member States of the European Union, the European Parliament and the European Commission to establish a CAP direct payments system that would guarantee equal competition conditions to all agricultural producers of the EU and to adopt during the next financial period of the EU a new method for calculation of direct payments that would enable to avoid significant differences between the lowest and the highest levels of the EU direct payments, and would take into account economic and environmental criteria. On the motion of the Finance Committee, the second reading of the Bill on Amendments to the Alcohol, Tobacco, Fuel and Electricity Excise Duty Act (268 SE), initiated by the Government, was concluded. The aim of the Bill is to raise the alcohol excise duty by 5% per year in the period 2013–2016 and to thereby increase state budget revenues. According to the explanation of the initiator, with the 5% increase of alcohol excise duty rates, for example, the price of beer (1 litre, 5% vol) will rise from 1.8 euro to an estimated 1.82 euro, the price of wine (0.7 litres) will rise from 7 euro to 7.04 euro, and the price of vodka (1 litre, 40% vol) will rise from 12 euro to approximately 12.36 euro next year. 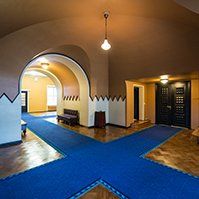 The Estonian Centre Party Faction moved to suspend the second reading of the Bill; 14 members of the Riigikogu voted in favour and 37 voted against. As the motion to suspend was not supported by the Riigikogu, the Bill was sent to the third reading. On the motion of the National Defence Committee, the second reading of the Bill on Amendments to the Defence Forces Organisation Act and the Defence Forces Service Act Implementation Act (256 SE), initiated by the Government, was concluded. According to the Bill, the Defence Forces will be tasked with the duty to provide personal protection, the right to use the Defence Forces in assisting the police without the right to use force is provided and the structure of the Defence Forces is changed and a new structural unit in the immediate subordination of the Commander of the Defence Forces is established – the Estonian contingent of the NATO Cooperative Cyber Defence Centre of Excellence which will perform the tasks of the Estonian contingent of the NATO Cooperative Cyber Defence Centre of Excellence that is currently a subunit of the Headquarters and Signal Battalion. 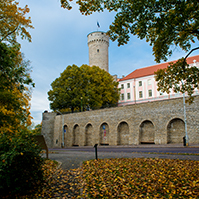 The Estonian Centre Party Faction moved to suspend the second reading of the Bill; 30 members of the Riigikogu voted against, nobody voted in favour and 2 members of the Riigikogu abstained. As the motion to suspend the reading of the Bill was not supported by the Riigikogu, the Bill was sent to the third reading. On the motion of the Constitutional Committee, the second reading of the Bill on Amendments to the Courts Act (281 SE), initiated by the Government, was concluded. The amendments create the institution of the advocate-general which will help raise the qualification of the court officials assisting judges in the preparation of cases and thereby raise the quality of work of courts, and improve court procedures. The advocate-general is a court official with higher qualifications who participates in the preparation of cases for proceedings and, in the cases provided for in the Codes concerning procedures, may perform procedural acts independently or under the supervision of the judge supervising him or her. 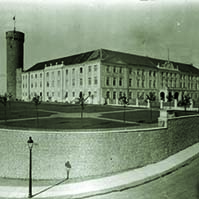 The Estonian Centre Party Faction moved to suspend the second reading of the Bill; 2 members of the Riigikogu voted in favour and 33 voted against. As the motion to suspend the reading of the Bill was not supported by the Riigikogu, the Bill was sent to the third reading. On the motion of the Finance Committee, the second reading of the Bill on Amendments to the State Fees Act and Other Acts (284 SE), initiated by the Government, was concluded. The aim of the Bill is to increase the state fee payable for driving licences and identity documents issued at foreign missions and documents issued by way of consular service such that the state fee rates established by the Bill would cover the costs incurred for issuing or granting the document. With the Bill, the amount of the revenues is expected to increase by up to 500 000 euro per year. 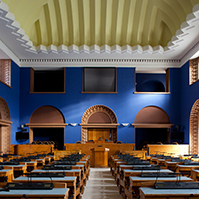 The Estonian Centre Party Faction moved to suspend the second reading of the Bill; 9 members of the Riigikogu voted in favour and 40 voted against. 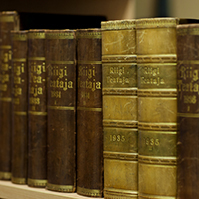 As the motion to suspend the reading of the Bill was not supported by the Riigikogu, the Bill was sent to the third reading. The second reading of the Bill on Amendments to the Animal Protection Act and Other Associated Acts (288 SE), initiated by the Government, was adjourned due to the end of the working hours of the sitting at 9.55 a.m. on Wednesday. The reading will be resumed at the regular sitting on Thursday.